We start this issue of 24 where we previously left things. Sofiya may have escaped, but she’s not out of the woods yet. The Russians are tracking her down, but of course haven’t told Bauer she went missing. The CIA are tracking her as well, so that they can use her to find Bauer. Who will get to her first? Will Jack be able to outsmart the Russians during their meet? in true 24 fashion some of the answers will be revealed now, some will have to wait until the next issue. I have to say that I have really been enjoying this story so far. Not only does it work well on its own, but it also was great information to have in the back of my head while watching Live Another Day. (Side note: not going to spoil anything but OMG DID YOU SEE THAT FINALE?! Only 24 brings you that kind of energy). I definitely recommend reading the back issues if you’re just starting out. Whenever Jack referenced his family on the show, I pictured the events happening in the comic and wonder if this is the family he was referring to. I assume that will be made clear when this story reaches its thrilling conclusion. The story, beyond being a bit brief as I have mentioned, boasts the same familiar character quality I have admired about the previous issues, and the art has the same weakness of character portrayal I have mentioned in earlier reviews. This issue is no different, though it is nice to have a little more about our new fighter character and be introduced to yet another character who looks as though she’ll be recurring at least, if not a major player in the battles to come. Bottom Line: This issue is recommended, with the same caveats I detailed in the reviews of previous issues. Limited run comic Thomas Alsop has a reluctant hero, a dose of supernatural mystery, and an integration of the profound into our world. With an intriguing premise, I look forward to seeing where they carry this plot, though I’m hoping for some of the rough edges of the storytelling to be ironed out in subsequent issues. Set mainly in 2011, New York City, we’re introduced to Supernatural Detective, The Hand of the Island, Thomas Alsop. He’s been given the title and the role through a family curse, passed down from generation to generation ever since ancestor Richard Alsop got cursed by the Mespeatches Indians back in 1699. Manhattan, the island itself, speaks to Thomas and gives him psychic nudges of when there are disturbances about. However, it remains unclear as to how much the “regular world” knows of the role or the existence of the supernatural in our world. Thomas came to notoriety back in 2009, when his friend Marcus Robert tagged along on one of his missions and recorded it for posting on YouTube. As a result, the video got millions of views, Marcus became his producer, and Thomas got instant fame. He lives up to the rock star kind of life, with drunken binges, naked proclamations in his apartment, and frequent appearances on late night talk shows. Did the world know about the supernatural aspects before the video? It’s never explicitly stated, though Marcus seemed to be in the know. And no one’s claiming Thomas is off his head when he talks about his missions, so perhaps it’s a given? It would have been nice to have that clarification, though. It would also have been nice to cut back on the dreams and flashbacks and switched points of view. When Thomas goes to sleep watching his television appearance, he dreams of his ancestor. That’s understandable, but then we completely change POVs and suddenly it’s Richard’s story for multiple pages. We even get a flashback inside the flashback, which is just sloppy writing. While I understand that we, the readers, needed to know about the 1702 incident and the ship, since it’s been recovered again in 2011, the integration of this could have been better. Despite the problematic writing in spots, I don’t think this deters anyone from the series. I certainly want to know more about reluctant hero Thomas Alsop and what his family destiny really means. Here’s hoping the ride will be worth it. This first volume of Rocky and Bullwinkle comics is a compilation of comics from 1962-1963, and are the same fast-paced, vaudevillian satire replete with puns that we all remember from the TV show. All four story worlds from the show can be found there: the eternal struggle between Rocky and Bullwinkle and Boris and Natasha, Dudley Do-Right the unflappable mountie, Mr. Peabody and his boy Sherman the time-travellers, and Fractured Fairy Tales. This is a delightful, highly entertaining collection: the stories are just as silly and back-and-forth and laden with wit as the TV show, the art is blocky and colorful and looks lifted straight from the show, and the dialogue is such that it’s impossible not to hear the voice actors as one reads. Which only makes sense, as these were created during around the same time as the show, by one of its creators. A fun addition to each issue is a faux gossip/news column at the end, sort of a goofy take on fun facts and news of the day: a pre-Soup interlude. With the more recent reboots of this wonderful franchise, it’s refreshing to get the real thing instead, not made PC or nicer, but sharp, silly and brash as it was. Surprisingly (or perhaps not surprisingly?) the humor remains timely, and while the collection is appropriate for children, it isn’t in any way dumbed down–it’s as highly entertaining as the TV show. Bottom Line: Rocky & Bullwinkle Classics is highly recommended. I want a volume 2! When we last left our hero, we saw that he had a nice new life with a family in the Ukraine, but there was also trouble brewing. But on the show we see him on his own again… Confused much? I’m assuming after this whole business wraps up it will end in bloodshed (like most things in Jack’s life) and all will make sense. Either that or he’ll have to run away in order to protect his family. Either way, it doesn’t matter now. For now, this is where we’re at, with Jack not surprisingly in a bit of trouble. We continue our story with Jack and Petro jumping from one life-and-death situation to another. Now that they’ve been double-crossed, they have to protect their families before the bad guys get them. And in other news, the CIA still want Jack’s head on a platter for being a “traitor”. So pretty much everyone wants Jack in their custody, which leaves him with very little options. What will happen to our hero? Will he make it to his family before Mishka’s men do? You’ll just have to read for yourself to find out. What? I can’t spoil everything… All I can promise you is it will have just as much action and go by just as quickly as you would expect a 24-related thing to do. Serenity continues on its merry way as our favorite crew in the ‘verse faces an old adversary, and gains the help of another. Zoe was captured by Alliance in #2, so we have that problem to deal with, and River is beginning to…remember things. 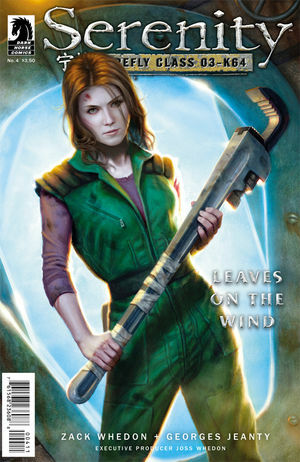 Oh, and Kaylee has a serious BAMF moment early in #3, which is a delight. As far as story is concerned, Serenity rollicks along at a clip, appropriate for its TV show origins. The framework on each page guides the eye right along at the pace necessary, and as I have said before, the dialogue has that unique cadence we have come to know from TV Serenity‘s ‘verse. It’s also nice to see the couples that were dancing around the fact that they dug each other in the show actually acting couple-y. It’s a nice little thing to add to the richness of the continuation. Art-wise, as I mentioned just now: the frames are well made and placed–they dictate the pacing of the plot quite well. The style is comic-book-y without being too childish, and the color schemes are earthy, Western-y, just as we would want from the show. One hitch: most of the characters don’t really look like themselves as we know them. This is a balance I have discussed when reviewing Dr. Who comics: that delicate line between creating actor portraits and representing the character. This series falls into the latter camp to a degree that at the big reveal (the powerful man from our past we have found and recruited to help), I actually didn’t know who the character was. I had to read on and get it from the dialogue. 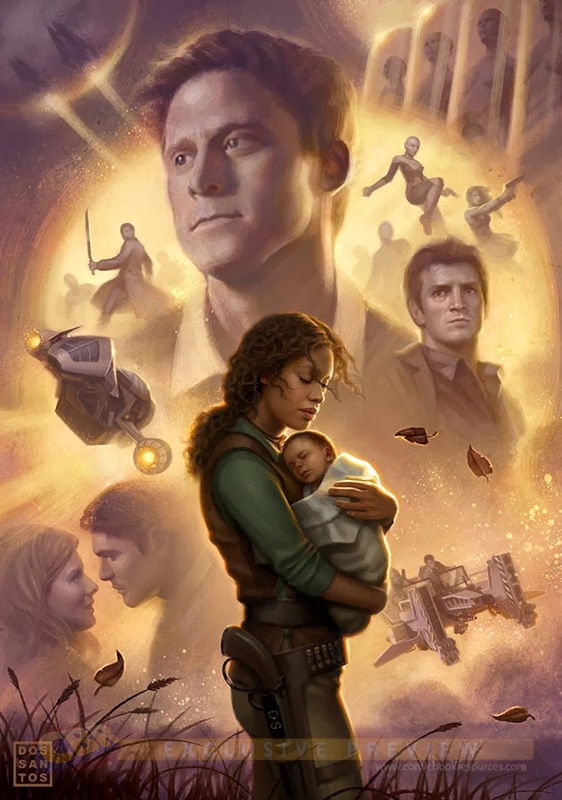 Bottom Line: I would recommend Serenity, especially to those Browncoats who miss the show. It’s a solid continuation all in all. The second volume of Samurai Jack Classics is a series of short, snappy, bright, and all around cheerful snippets from the world of Samurai Jack vs. Aku. As in the wonderful animated TV series, each episode is a standalone story (origin/backstory not necessary, though it is fascinating). This volume collects a passel of colorful tales not immediately in the timeframe of the TV “canon” but set in that abstract future time when a time-displaced samurai must end the evil that brought about the downfall of his time and the empire of Aku. This collection includes the variety of diverse characters and themes from the show, and boasts the same bold black outlines and stylized art that made the TV show stand out. Samurai Jack’s stoic nobility and Aku’s gleeful evil stand true. The art shows the fantastic action scenes’ movement in a dynamic fashion, showing the almost superhuman martial arts of Jack without having too many “jump cuts” or busy-ness to obscure the action. The one and only (and, IMO, important) drawback to this volume is the lack of the Zen-like sublime that made the show so unique and entrancing. Each episode in this collection seems structured around a joke, ranging from the bright and humorous to the downright silly. This to me isn’t really Samurai Jack: though of course there were myriad moods in the show, the subdued minimalist art and the long stretches of quiet, coupled with the moments of slow zen is what made the show so much richer than just a cool swordfight heavy show made for children. This collection feels very child-directed. Although the one episode where Jack has hiccups that won’t go away is admittedly pretty hilarious. 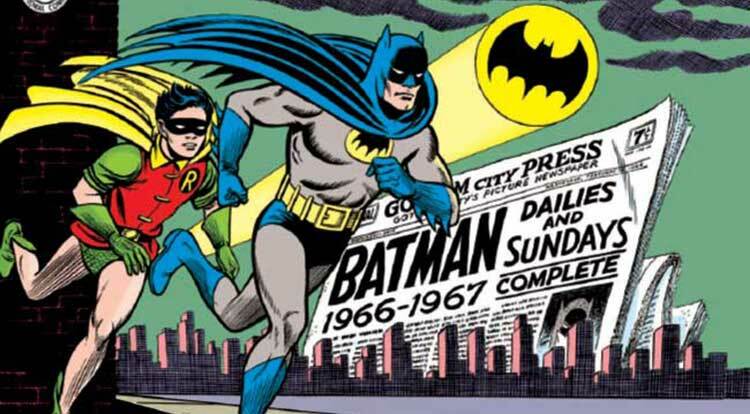 Bottom Line: I would recommend this volume only to kids or to completist collectors. Our hero, Jack Bauer, has taken a new identity and found a new life living with a woman in the Ukraine. Unfortunately his new family seems to have gotten into a bit of trouble, and of course Bauer is going to have to get them out of it. I swear, this guy is a magnet for calamity! Anxious to get your hands on this hot new item? Well it dropped in stores yesterday! My only critique (and it’s a minor one) is that some of the action scenes don’t translate well in comic book form, but other than that the art and story are great. Plus it feels good to have Jack back in any form. So do yourself a favor and grab a copy from your local comic shop, folks. It’ll give you something to salivate over while you await Bauer’s return to television (which is May 5th, in case you somehow missed the memo on that one).